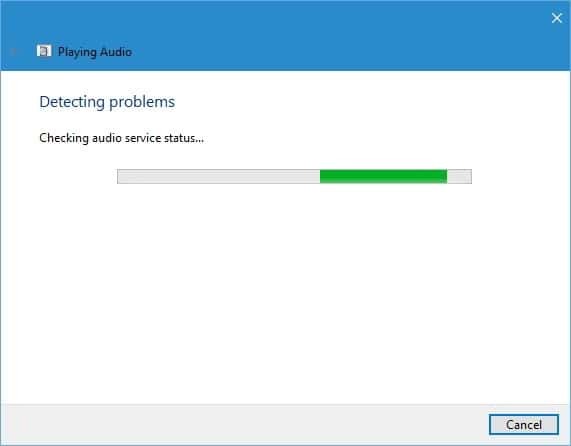 How to fix No sound on computer error in Windows 10, 7, 8.1 and 8 OS? Want to fix no sound on Windows 10, 7, 8.1, Vista or 8 computer? Follow the tips I have shared below. Your PC is not playing sound because of incorrect settings, a software issue, damaged hardware component or an invalid driver. Here are the things you should do to get rid of this frustrating problem. If the sound hardware has malfunctioned, Windows OS might not function properly. It may show BSOD (Blue Screen of Death) error at random intervals. If you have not encountered this error, do not open the cabinet of your PC. In case you see the dreaded BSOD message, use the free BSOD troubleshooter to diagnose the issue. Modern browsers such as Google Chrome, Opera, Firefox has the mute tab option. When you enable this option, the browser will silence the selected tab. You may have muted one or all the tabs in the browser. Hence, the PC is not playing the sound. Windows OS packs a sound troubleshooter utility, with which you can identify, and fix sound playback issues. Click on the speaker icon on the taskbar. Now, select the troubleshoot sound problems option from the context menu. The tool will now check if the audio service is working or not. If you have deactivated this service, the troubleshooter will start it. If the service is active, sound troubleshooter will show next button. Click on this button. Windows will now analyze audio settings on your PC. If it finds that you have set the audio volume to 0, the tool will open sound properties utility for making you aware of it. Are you trying to play a media file in a software which does not support its playback? Some applications can play music files of various formats. VLC is the best among them. Make sure that you use VLC. It is the best software for playing video and music on PC. If you do not want to install VLC, convert the audio file using XMedia Recode. Last but not the least, you must check if the sound driver for the audio hardware is active or not. To do so, open device manager from the control panel. If the driver is working, you should be able to see the name of your sound card on the list. Example: If the device has AMD sound hardware, you will see the AMD High Definition Audio device name on the list. If the driver is missing, click on the parent element of the tree structure of hardware components shown in the device manager. Now, select scan for hardware changes. Windows will now install the audio driver. Conclusion: That’s all folks! The above solutions will definitely help you in fixing the sound problem in Windows OS. Have you tried them? Previous articleHow to fix drive letter changed, missing or not showing error in Windows?